There’s no need to forgo style over comfort when you opt for the Lotus Relife Cavell shoe. This perfect off-duty option takes inspiration from the styling of a trainer. This slip-on ladies’ style features a subtle reptile print on the black textile upper, together with a decorative zip fastening and metallic branding to give a distinctive look. 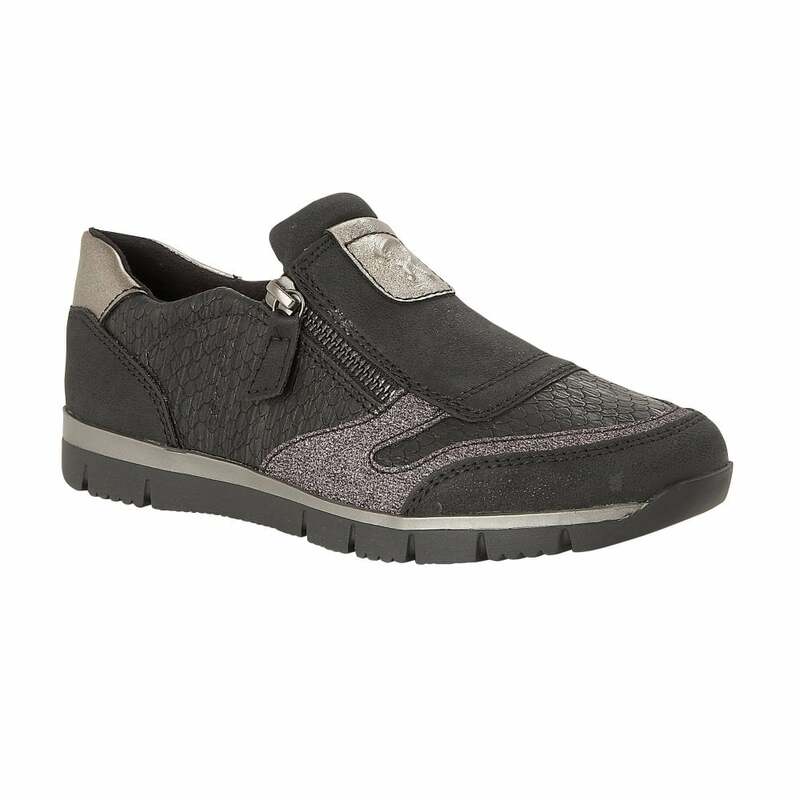 Whilst the premium leather linings and the cushioned insoles ensure the utmost comfort.